Last weekend we welcomed a 2006 Nissan Xterra 4×4 to our family! For the past few years we found ourselves limited to our backpacking and hiking trips without a high clearance, 4×4 vehicle. We have pushed my small sedan to its limits with off-road driving and finally decided it was time to invest on a real off-roading vehicle. 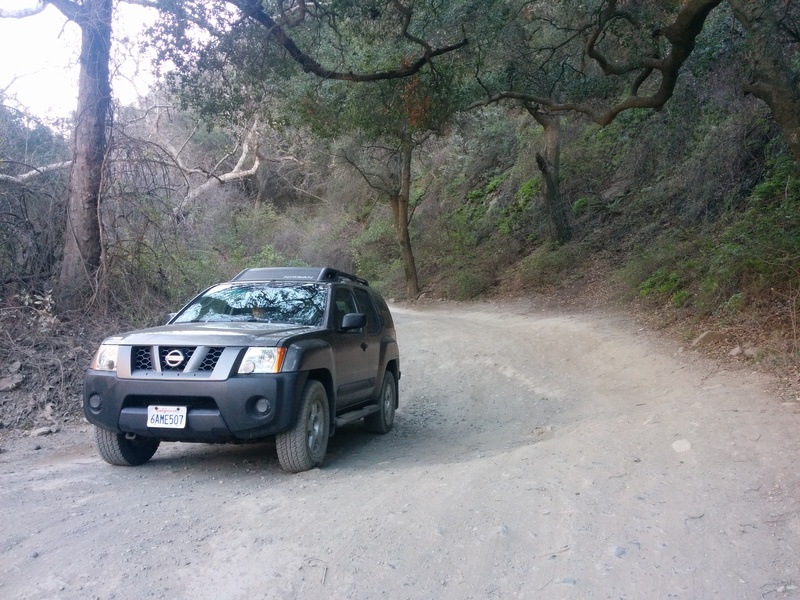 We bought the car secondhand since we plan to use the Xterra for rough terrain driving and have already tested it out on a local trail. Doesn’t she look beautiful covered in dust? We are so excited for all the new places this car will take us! This entry was posted in Other and tagged backpacking, Hiking, off-roading, Travel by hikenoworklater. Bookmark the permalink. This is awesome! I’ve been thinking of doing the same thing, as I have trouble getting to certain trailheads with my Prius. I’m looking at an Xterra and a Tacoma. You should go for it! We were also debating on getting a truck but decided to go with the Xterra with an enclosed cab so our dog Dakota can sleep comfortably in the back. Nice! That’s what I’m leaning towards as well. We take our dog everywhere too, and the closed cab would be nice for longer trips. Usually she sits on our laps in the front seat, but her legs tire out after an hour or so!